The intent of this page is to provide you with links to useful car stuff on the web. Scroll down the list and see what your find that might interest you. Looking for Horseless Carriage (they are really cheap!) or other specialty tags for your collector car? The New Mexico MVD website is the place to go for information. A variety of license plates are available to New Mexico drivers. Along with the standard license plates, drivers can select specialty plates. Some specialty plates have a small fee upon application and registration renewal, while others are available with no additional fees. 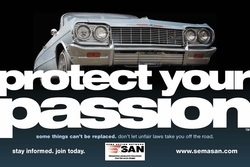 The SEMA Action Network (SAN) is a nationwide partnership between vehicle clubs, enthusiasts and members of the specialty auto parts industry who want to protect their hobby. Founded in 1997, the SAN was designed to help stamp out legislative threats to the automotive hobby and pass favorable laws. 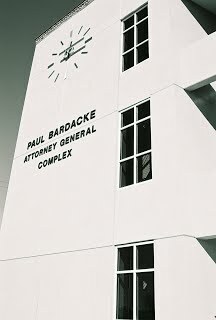 This is a good site for finding information about car legislation that is being proposed or implemented in the State of New Mexico. The "news alert" tab is the place to look on this site. Buying a car can be one of the most expensive purchases you will make. Therefore, it is important that you know how to make a smart deal in this often confusing and frustrating process.